Copyright ©2012 PopEntertainment.com. All rights reserved. Posted: February 8, 2012. Wily provocateur and indie screen mogul Harvey Weinstein sees beyond the obvious and recognizes value in some rather offbeat films. Thankfully, that support has so far paid off. 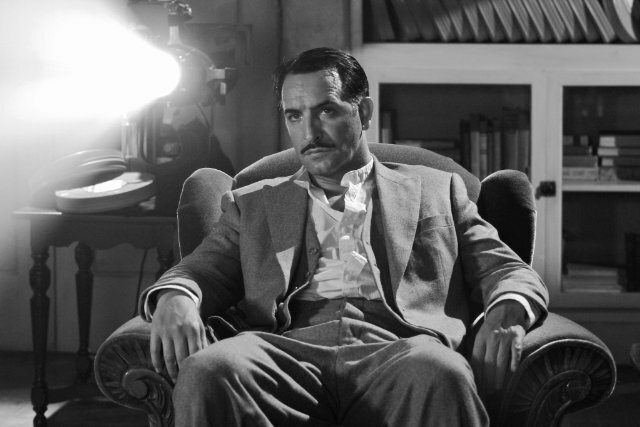 Four of Weinstein's pictures won awards at this year's Golden Globes, with a bloc going to one of 2011's most unusual films – The Artist. 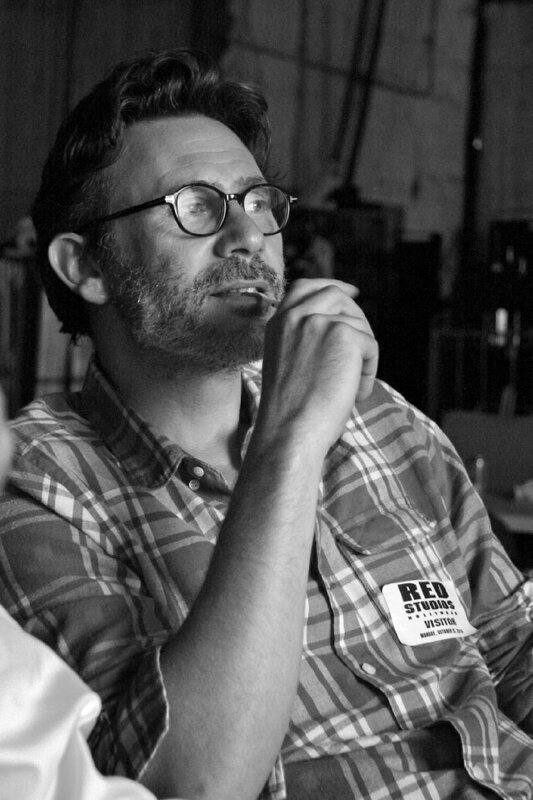 In making The Artist a black & white, silent movie, French director Michel Hazanavicius defied expectations. For anyone else, this would be not only a strange concept, but a retrogressive idea, simply a throwback to another era. Yet this veteran French filmmaker employed a sufficient sense of irony to take the idea beyond preciousness and imbue it with a wit and charm that makes it feel both classic and contemporary. The director works from an eternal scenario. In 1927 Hollywood, the arrival of talking pictures creates turmoil for silent film star George Valentin (Jean Dujardin) who fades into oblivion as he resists the change. Meanwhile, Peppy Miller (Bérénice Bejo), a young dancer who becomes gets a big break by meeting Valentin, shifts into stardom by embracing the talkies while George sees a reversal of fortunes. As he slips into near-poverty, George and his dog Jack (Uggie) stay true to each other as everyone else moves on – except Peppy, who, in the end, offers him a chance to redeem himself and share the spotlight with her. And now that the film has been nominated for 10 Oscar noms, the film racks even more attention as a cautionary tale: adapt to new technology or get left behind. 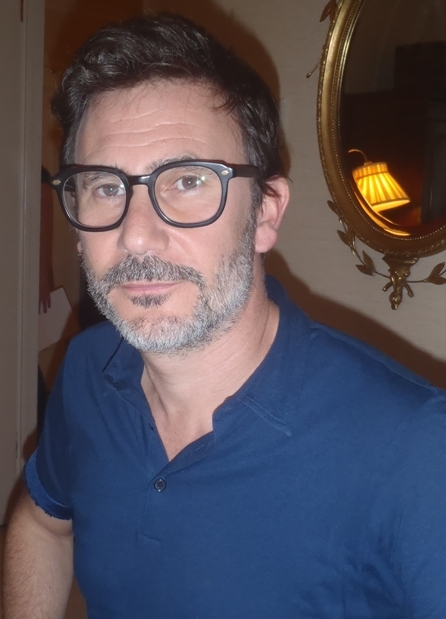 The following Q&A with director Hazanavicius is excerpted from an exclusive roundtable held before The Artist's American debut at the 2011 New York Film Festival. Even before the pitch, why did you think you could do this and that we would want to see it? You never know, actually. You can't be sure. I said to the producer, "First, I have to write the script, and I'll know after that if the movie's doable or not." In writing the script, I had to find all the solutions of how to direct a silent movie, and what you're going to ask of the actors and what you're going to ask of the director. In this case, [the director is] myself, but, in a way, it's pre-directing the movie. I had this exit in a way, and if the script was not convincing, we would never do the movie. Everybody tells you that nobody wants to see a silent movie. That nobody wants to see a black & white movie. People think that black & white, silent movies are old, and they're right. But they're old because they were been done in the 1920s, not because of the format. The format is really good. I had the hunch that the format would allow me to do a very specific movie. You just have the hunch that there's a good movie to do. If you do a script with the normal paper and letters like this, when people read a script, they just read the dialogue. They never read the action, except maybe for action movies. It was really just action here, and over three pages you have just one card. So we tried to do a nice object, and that's what we did. We did an object that respected the ratios. It was a square paper, old paper, like a little bit yellow, typewriter letters, a little bit bigger. That makes people think that it was easy to read because they turn pages often, more often than like this. We put a lot of pictures, photos in the script. It was the producer's idea and I think it was a really good idea. How long did it take you to storyboard it? The script was, strangely, very fast to write – four months, which for me is very fast, and especially because I spent a lot of time watching movies. Usually it takes me six or eight months, and it's not the dialogue that takes me four months, it's very easy to make the dialogue. The storyboards, I don't know. I drew [them] myself, so I would say three weeks or maybe a month. But it's during the preparation, so I don't do just that. I work on the storyboard the morning and the evening and then do other things. How did you cast Dujardin and Bejo? I wrote the script with them in mind. I wanted to see them as actors in that kind of story, in that kind of element. They have ageless faces, and are really credible in period movies. They don't have modern faces. When you put a costume on an actor that helps a lot. [Actors] don't move the same way [in a costume]. The other actors, the American cast, I found with casting director Heidi Levitt, who was really great; we tried to work with some expressive actors because there are a lot of great ones. When an actor like John Goodman (who plays the studio mogul, Al Zimmer) says something, all of his body and face express what he's saying, so I had to work with that kind of actor. I've been very lucky that a lot of great actors joined us on that movie. Was Uggie the dog – playing one of the film's best actors – always part of it? 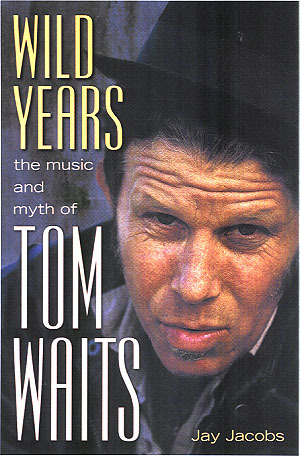 He was in the story from the very, very beginning, in the movie before Hollywood. Hollywood came after the dog. I didn't realize exactly how important he was at the very beginning, but now when you do the promotion of the movie, you talk and talk, and in talking, you realize things that you've done and you have another understanding of your work. I realized that that dog is very important for two reasons. The first one is the character – it changed the main character. When you create a character, you don't just create one character, you are helped with the other ones. They put another light on the character. The character of George Valentin is not very sympathetic; he's very egocentric, selfish, and he's very proud. He started the movie with a woman and he finished with another woman. But the fact that he has a dog who loves him and follows him all over the movie, in a way, it saves him because you trust the dog. You think that the dog knows, that he has instincts, so if the dog loves him, somewhere he's a good person. The other thing is, this dog is the only friend of George. George has a problem with sound, with the talkies, and his only friend is a character that doesn't speak either because he's a dog. So yeah, he's very important. You think he's a good actor but he's not. He's a dog. He doesn't act, he doesn't read the script, he doesn't care about the situation, he doesn't care about his partners. He just cares about sausages. That's what he wants for real. The Artist was shot in only 35 days. What did it take to make a film in such a short time? It's as if you tried to paint the Mona Lisa on a roller coaster – it's crazy. You have to go very fast. The preparation of the movie is really, really important. We always speak of the shooting, sometimes the editing, sometimes the writing. But the preparation – you [make] all your mistakes in shooting through the preparation, so the more you prepare, the [easier] the shooting is. That's why I storyboarded everything. We worked very quickly. It was not so difficult to edit because the movie was really well prepared and I didn't do a lot of takes because I had to go fast. How many days did you spend editing it? I don't remember exactly, maybe 14 or 15 weeks. It wasn’t huge. For the last one, I had 22 weeks. I don't remember exactly. I watched a lot of silent movies for the writing and preparation but the most difficult thing was not so much the editing, it was the composing of the music because the music is really important in the process. It gives you the emotional track of the story, and if there's any confusion, any nonsense in the music you pay [for] it very immediately. Sometimes the music they put in these old movies is really ridiculous. You really can see when you look at [it], not as an audience but as a director, that the music doesn't fit and really doesn't help the story. [My] composer, Ludovic Bource, had to do his own music, yet respect the references that I gave him [like] the old Hollywood classical composer. But [he also had to] respect the story and the precise structure I gave him. When you edit a movie the problem is the structure. The turning point, the conflict point, although it's the same, the timing always changes. [Anne-Sophie Bion, who worked with me on editing, understood what we had to work with.] [When] you start editing, it's like two hours and five minutes; then you go to one hour 40 minutes. And he had to adapt his music so it's always moving. He did a really great, great job. #1 © 2011 Brad Balfour. All rights reserved. #2 © 2011. Courtesy of The Weinstein Company. All rights reserved. #3 © 2011. Courtesy of The Weinstein Company. All rights reserved. #4 © 2011. Courtesy of The Weinstein Company. All rights reserved.